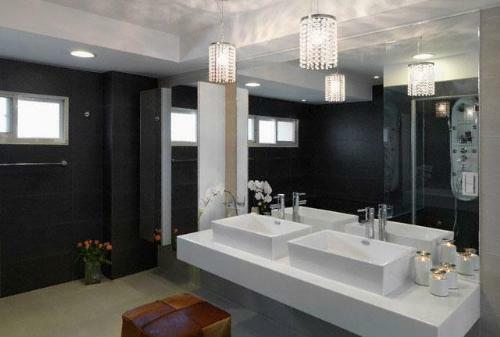 Bathroom sinks play the most critical role in making or breaking the image of your bathroom. You can always give your bathroom a brand new look without getting over your budgets by installing a new bathroom sink only. And the best part is that you have loads of options to choose your bathroom sink. Gone are the days when bathrooms sinks used to be just simple bowls with faucets and a stand for support. Now, bathroom sinks are vibrant, colorful, aesthetically designed and catchy enough to be the focal point of your bathroom. These days, Bathroom Sinks are used as either free-standing units or fitted on a table top or counter top for support; they can even be hung on the wall solitarily. But all of these options come with the concern that you have ample space, suitable plumbing and most importantly a good budget. From traditional, vintage and antique styles to modern and unusually striking ones, bathroom sinks offer an extensive range of sizes and styles to fit your space and taste perfectly. 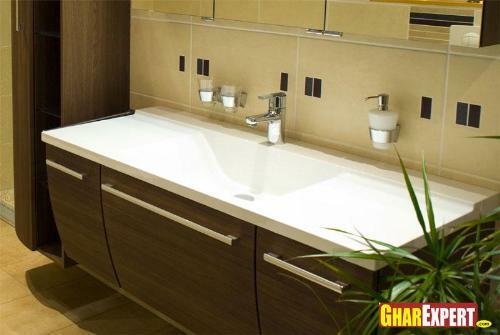 Due to such an extensive range, choosing a sink that suits your budget is not an issue anymore. In terms of style, bathroom sinks can be categorized as: sinks with pedestals, cloak room sinks, counter-leading sinks and corner sink. 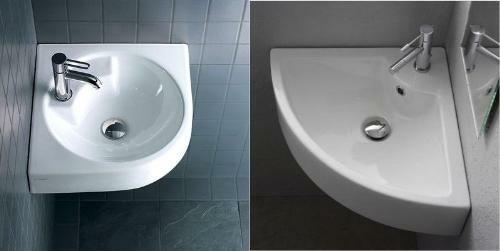 Bathroom sinks with pedestals are preferred because they keep the weird looking pipes from being seen. The pedestal not only hides the pipe work but also works as a good support for the bowl making it an intelligent bathroom sink. They are probably the most popular and sought for bathroom sinks. 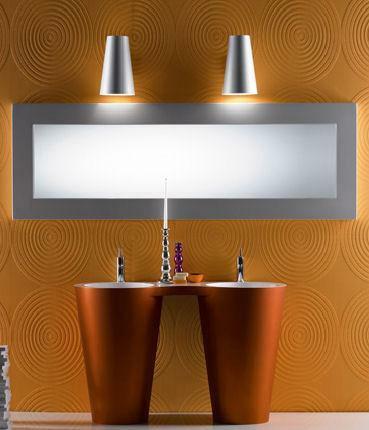 These days, bathroom sinks come with a handsome assortment of stylish and attractive pedestals including wavy, angular and fully lit pedestals. Bathroom sinks with semi pedestals also make a good choice because they let you set up your bathroom sink at a desired height. Moreover, they are known to be the illusionists i.e. they make your bathroom look spacious and bigger. 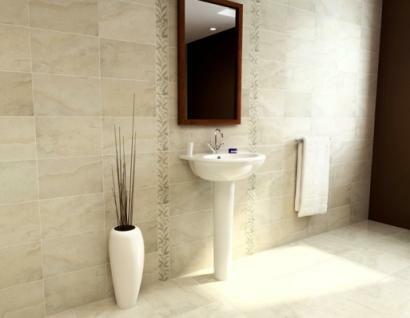 Mostly, bathroom sinks with semi pedestals are wall mounted that gives your bathroom a good simple and efficient look. 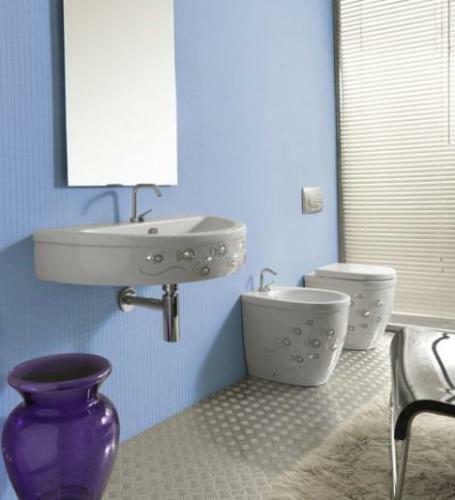 Wall mounted sinks make cleaning easier providing more space. 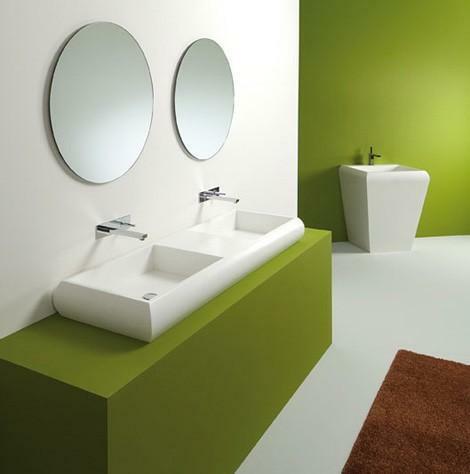 Counter leading bathroom sinks give a rather contemporary look to your bathroom. These bathroom-sinks rest on a vanity table or a shelf for support. The bowls for counter leading bathroom sinks can be made out of glass or ceramic and provide a striking look to your bathroom. To give your bathroom a smooth look, counter leading sinks can be paired with wall mounted bathroom tops. Corner sinks are the best option if you have a small bathroom. These bathroom-sinks fit perfectly around the corners of the bathroom and cover the least space. 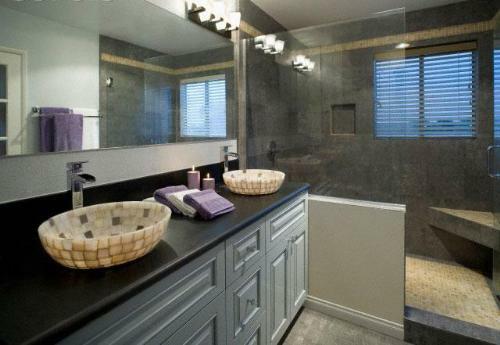 Corner sinks also go well with abrupt bathroom designs where no proper dimensions have been used. Cloak room sinks fulfill functionality purposes commonly. 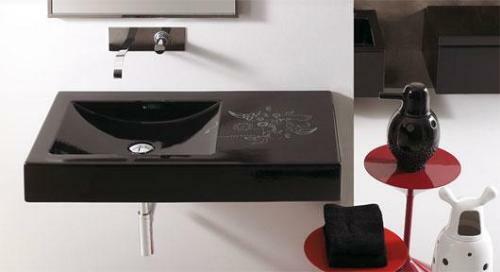 However, designers have been creating quite catchy designs and styles for cloak room bathroom sinks. They are generally wall mounted because their main purpose is to provide functionality in small spaces.